Epidaurus Festival is one of the most important cultural events in Greece every summer since 1955; its fame is international. The performances take place in the Ancient Theatre of Epidaurus, the best preserved Greek ancient theatre, located on the east of the Argolid region in Peloponnese, two hours by car from Athens and half an hour from Nafplion. 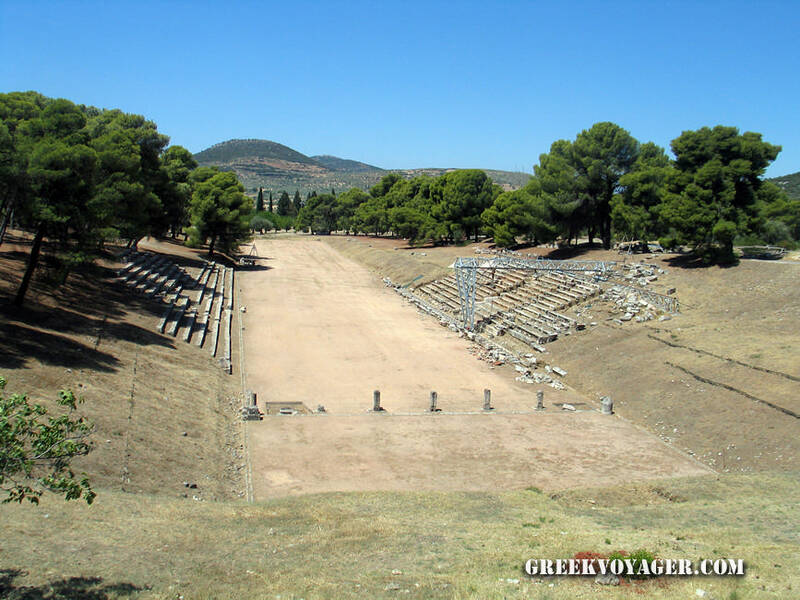 The last years theatrical and musical performances take also place in the Small Theatre of Ancient Epidaurus, too close to the small sea side town of Palaea(Old) Epidaurus(Epidavros in Greek). The region is full of olive and orange trees, as well as pine-trees mostly near the coast. It is well organized with nice beaches facing Saronikos bay and offering the possibilities for weekends or vacations combined with the spectacles in the two ancient theatres. The ancient theatre of Epidaurus is situated inside the sanctuary of Asklιpios (Asklipion), the most important of all Greek sanctuaries dedicated to the god of medicine. We may go by car either from Isthmus of Corinth, or from Nafplion. From Athens the trip lasts two hours. We take the highway towards Corinth and right after the bridge of Isthmus we leave the highway from the right side, pass under it and turn on the left following the road sign to Epidaurus. The road follows the coast of the great Saronikos bay near to sandy beaches and through beautiful landscapes, from where in some parking places the view to the coast and the sea below is amazing. After an hour we pass near the little towns of Nea (New) Epidaurus and Palaea (Old) Epidaurus and follow the sign to the Ancient Theatre of Epidaurus. At the crossing point of Lygourio we turn left, pass through the small town of Lygourio and arrive in the archaeological site of Asklipion. The road from Nafplion crosses with vineyards and olive groves. The mountain Arachnaeo overshadows the region and in the plain towards the coast more and more orange trees fill the air with fragrances. In about thirty minutes we arrive in Lygourio. Asklipion and the theatre are at a distance of one km. There is a very large parking place. The cars transferring persons with disabilities can approach the theatre and let them with their vehicles. 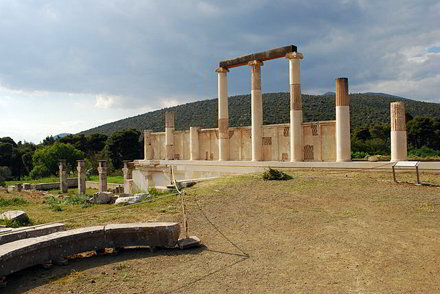 We can also go to Epidaurus by the bus (KTEL) of Argolid. Moreover there are special timetables for the festival days. Departure: 17.00, duration about two hours, return after the performance; ticket price 23 euros. Departure: 19.30, duration 45 minutes, return after the performance; ticket price 8 euros. 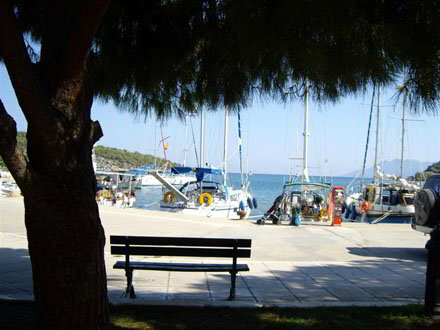 Those who sail by yacht or sailing boat can tie up in the harbors of Nafplion or Palaea Epidaurus. There are several options for selecting a place to stay near the ancient theatres of Epidaurus. In Lygourio, from which we can go to the ancient theatre of Asklipion by foot, are hotels and rooms; also restaurants, taverns and grill-taverns, as well as the necessary services – banks, telephone etc. Hotels, rooms to let, restaurants and services are also in Palaea Epidaurus. 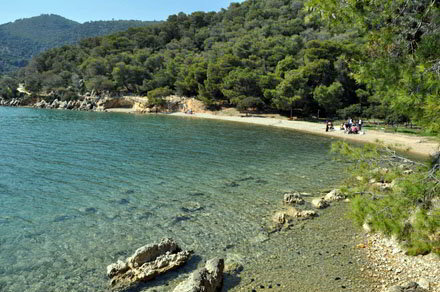 In the beaches of Palaea Epidaurus and Nea Epidaurus are camping sites. The small town of Lygourio, at 370 m altitude, is one km far from the ancient site of Asklipion. It is the “entrance” to the theater. That’s why it is vivid especially during the summer and the days of the performances. The settlement is mentioned for the first time the 14th Century. During the excavations the residents helped willingly the archaeologists. In and around the town are twelve little Byzantine churches. Of great interest are the ruins of the pyramid of Lygourio, one of the three pyramids existed in the Argolid region as Pafsanias refers. In the town we can visit the natural history museum, one of the biggest in Greece. The town is well organized for the visitors; there are hotels and rooms to let, as well as the necessary services. The food is good in the restaurants and the grill-taverns. The days before and the nights after the performances, directors actors and other artists gather around here for eating and discussion. Epidaurus, the historic city of Argolid, was located at a strategic site on the eastern coast, near to the today’s town of Palaea Epidaurus. The first settlement was created in the prehistoric period. It took its name from the hero Epidaurus, who participated in the war of Troy. 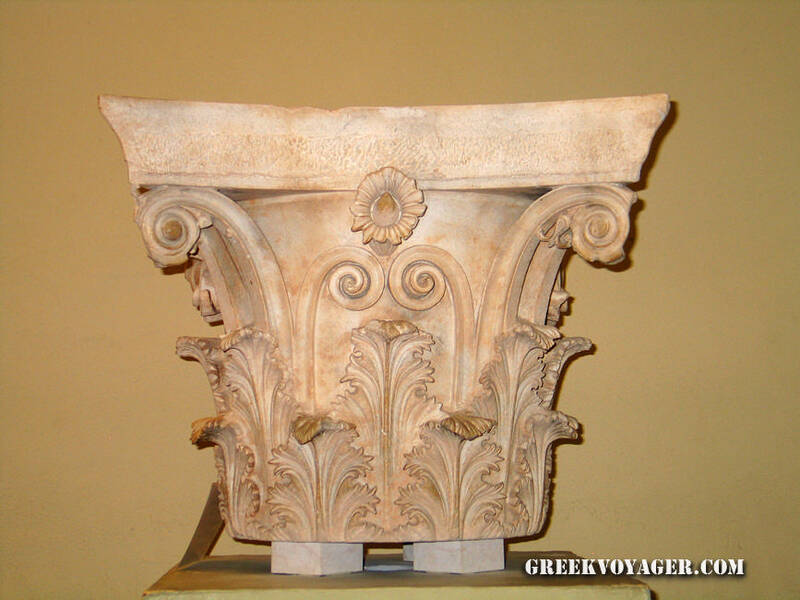 It was an important city of Pelopennese for centuries. 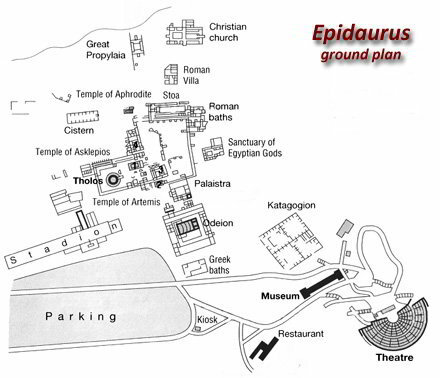 Epidaurus was developed because of its position but mostly of its Asklipion, situated 15 km far from it; especially after the 4th Century BC, when the sanctuary of Asklipios reached its peak. The sanctuary of Asklipios is located in a wonderful green environment. All the sanctuaries of the god of medicine were created in sites with trees, rich vegetation and springs surrounded by hills or mountains. The calm and beauty of nature played an important part on patients’ treatment. 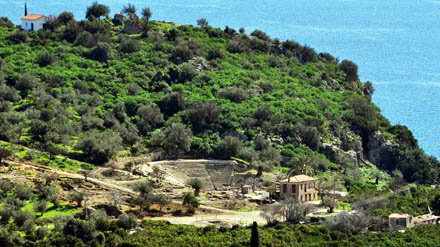 The Asklipion of Epidaurus was the most famous of all. Patients and worshippers came from far places. In the beginning Asklipios was worshipped as a hero; then as god. Its worship began here in the 7th Century BC. In the 5th, feasts and competitions took place. In the 4th, the most important buildings were constructed. During the Hellenistic period the sanctuary was still famous. But in 86 BC was plundered by the Roman Syllas and a little later by pirates. It lived a new period of flourishing after the 2nd Century AC, but all finished in 392, when the emperor Theodosios forbid the worship of ancient gods. In 395 it was plundered by Goths and in 522 and 561 two earthquakes completed the destruction. The excavations lasted from 1879 to 1928. Among the most important discoveries are the propylaea (the building of the entrance), the foundations of the Doric temple dedicated to Asklipios, built in 380 – 375 BC, the Tholos (Dome), the most famous building of the sanctuary, which was the core of the worship and the Avaton (the place only for those who had the right or the permission to enter) or sleeping porch, where the patients slept waiting for the god to appear in their dreams and speak about their cure. There are also the remains of temples dedicated to the goddesses Aphrodite, Artemis and Themis, guest house, stadium and baths. Apollo was also worshipped. Its sanctuary is higher, north of the theater. In the museum, built between 1906 and 1909, we can see inscriptions, sculptures, various findings from the two sanctuaries and medical tools. 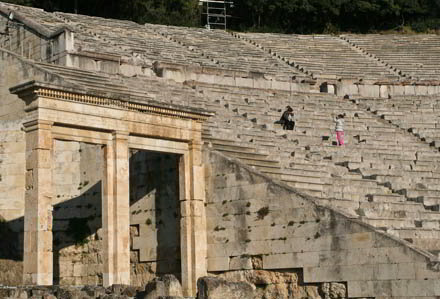 The theater of Epidaurus, located into the sanctuary of Asklipios, is the best preserved Greek ancient theater. It was constructed in 4th Century BC for the patients’ amusement. It was famous for its beauty, symmetry and exceptional acoustics, as it is today. The actors don’t need to shout, not even to speak loud beyond their part. The whisper can be heard up to the last position. Its perfect acoustics is because of its excellent adaptation in the natural environment. In 340 BC the architect Polyklitos from the neighbouring city of Argos chose a little ravine and, according to the great ancient traveller Pafsanias, built the most beautiful and best theatre. The theatre was built with limestone in two periods. During the first period the orchestra, the stage building and the lower part were constructed. The second phase, during the Hellenistic period, after the 2nd Century, the upper part and some additions. The capacity of the theater is 12.000 to 13.000 spectators. The lower part is separated by 13 stairs in 12 sections with 34 rows of seats. It was the place for the priests and the archons. The upper part is separated by 23 stairs in 22 sections with 21 rows. It was the area intended for the public. The longer row is 58 m and the diameter of the orchestra about 20 m.
The excavations began in 1881. Under layers of ground, the two parts for the spectators were discovered in good condition. In the beginning of the 20th Century some restorations have been made. During 1954 – 1963 an important project was accomplished making the theatre ready for the performances in modern time. 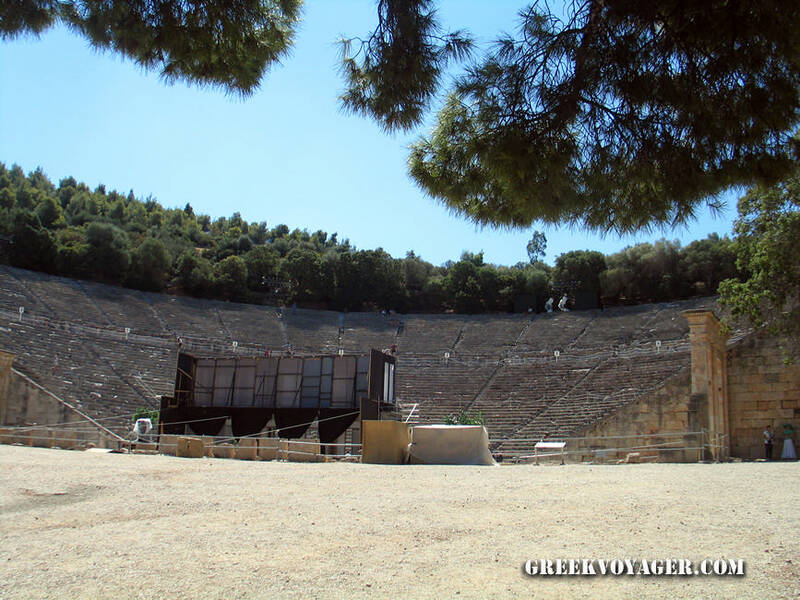 The Epidaurus Festival takes place every summer in the ancient theater. Being there, in this amazing place, one night of July or August watching a performance, is an unforgettable experience; especially an ancient drama performance, with its own magic, is a mystic trip in the windmills of the time. The first performance after antiquity took place on September 11th in 1938. The National Theatre of Greece performed Electra of Sophocles with Demetres Ronteres as director and the great Greek actresses Katina Paxinou as Electra and Eleni Papadaki as Klytaemnistra. 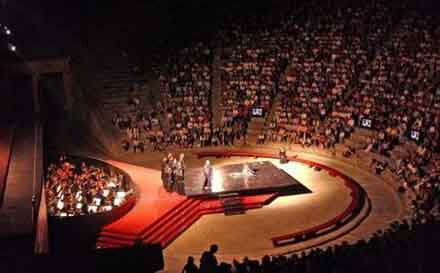 The performance took place in the ancient orchestra without scenery. It was a Sunday afternoon. The daylight was necessary because there was no electricity, therefore no lights. Because of the 2nd World War and the following civil war in Greece, no performances took place. 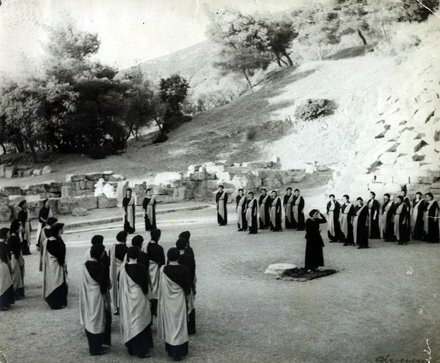 The speech of the ancient poets was heard again in 1954 with the drama Ippolytos of Evripides. It was the final essay for the festival, which started in 1955 with the drama Ekave directed by Alexis Minotis. The following twenty years only the National Theatre performed with the exception of the great Greek soprano Maria Kallas, with Norma of Belini in 1960 and Media of Ceroubini in 1961. After 1975 other Greek and sometimes foreign theatrical companies came. 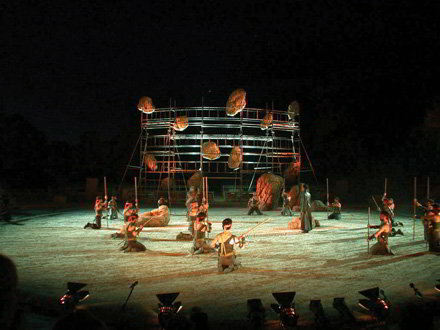 From 2006 the Epidaurus Festival opened furhter its gates and became more international inviting famous artists and co-operating with important festivals and theatrical companies from other countries. 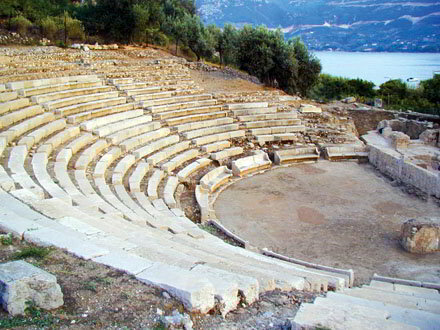 The other ancient theatre of the region is located on the cape Nessi near Palaea Epidaurus. Performances take place here, too. 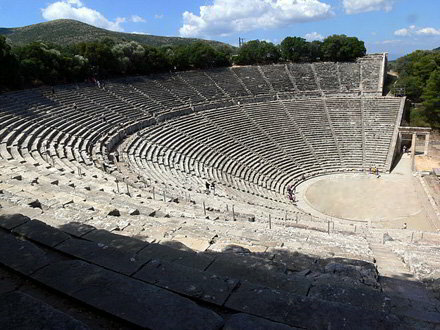 It is the theatre of the ancient city of Epidaurus situated on a hill not far. 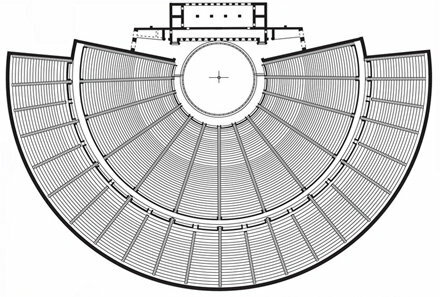 It is called Small Theatre of Ancient Epidaurus, so can be distinguished from the theatre in the sanctuary of Asklipios called Ancient Theatre of Epidaurus. It is really smaller with seats for 2.000 spectators. The theatre is very well preserved. The excavations brought to light 9 sections with 13 rows, constructed with limestone and separated by porous stairs. 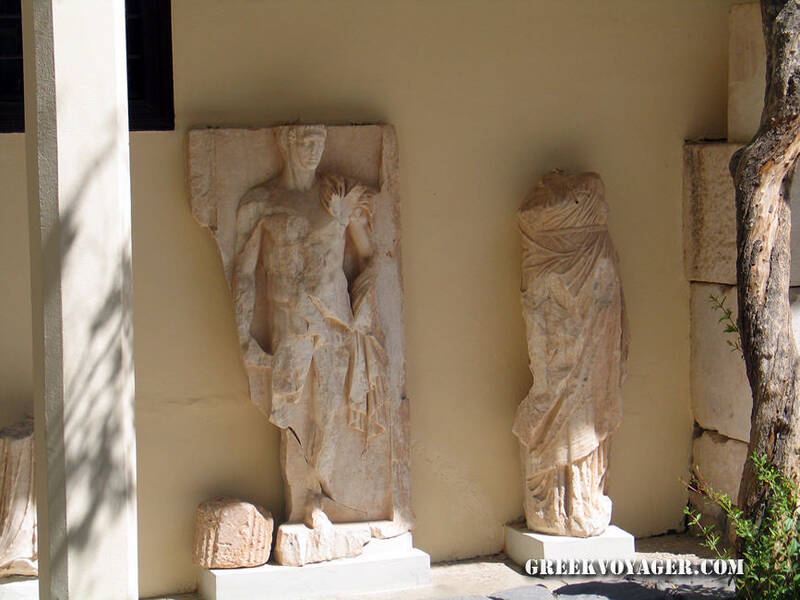 According to inscriptions the ancient performances were related to the worship of Dionysus. New rows of seats were added and the theatre began to live again, mostly for musical performances. We may go either from the northern side of Palaea Epidaurus, or better from the southern side of its coast leaving our car around the port and walking about ten minutes. Palaea Epidavros (Old Epidaurus) is a little, calm and beautiful town on the coast of Saronikos bay, at the edge of a plain with olive and orange trees. In its picturesque port yachts and sailing boats tie up near the fishing boats. Close to the ancient theatres, the town offers the possibilities for good vacation. There are hotels, rooms to let, cafeterias etc; in the taverns Greek dishes and fresh fishes are served. North of the port is a nice beach. On the south stretches a long sandy beach with taverns and furthermore, a camping site. 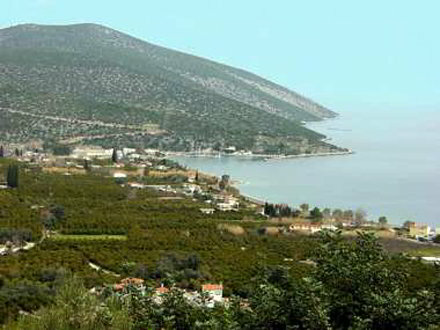 North, at a distance of nine km, is located the inland little town of Nea Epidavros (New Epidaurus), at 100 m altitude. Here, after the beginning of the Greek Revolution on March 1821, the first national assembly took place and voted on January 1st in 1822 the first Greek constitution. 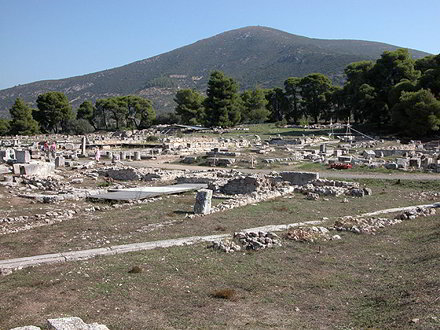 At that time the village was named Piada, but the assembly was called National Assembly of Epidaurus because the ancient city was located nearby. 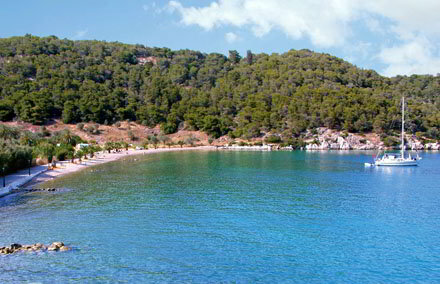 On the coast is the Beach of Nea Epidavros with a nice sandy shore, rooms to let, taverns and a camping site. Going north on the main road is the monastery of Agnounda with Byzantine frescoes.